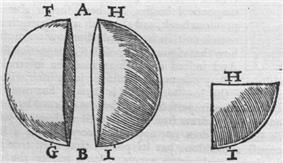 In this work, Gilbert described many of his experiments with his model Earth called the terrella. From the experiments, he arrived at the remarkable (and correct) conclusion that the Earth was magnetic and that this was why the compass pointed north. (Previously, it was thought that Polaris or a large magnetic island at the North Pole attracted the compass). Gilbert also made the claim that gravity was due to the same force and he believed that this held the Moon in orbit around the Earth. While incorrect by modern standards, this claim was still far closer to the truth than the ancient Aristotelian theory, which held that the heavenly bodies consist of a special fifth element which naturally moves in circles, while the earthly elements naturally move downward. Johannes Kepler accepted Gilbert's theory and used it as a working basis for his famous laws of planetary motion. 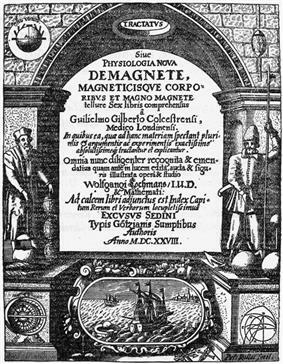 De Magnete was influential not only because of the inherent interest of its subject matter, but also for the rigorous way in which Gilbert described his experiments and his rejection of ancient theories of magnetism. 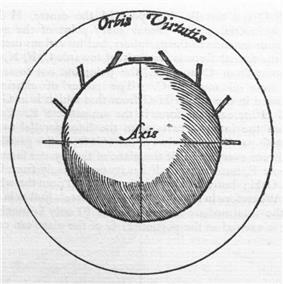 Gilbert nevertheless acknowledged his debt to Peter of Maricourt and incorporated this 13th-century scientist's experiments on magnetism into his own treatise. Although Gilbert's thinking was influenced by the mysticism of his time he is regarded as a pioneer of experimental science. In this chapter Gilbert argues in favor of the Copernican System. He posits that due to the inordinate size of the celestial spheres, if in fact the spheres exist at all, it is an absurd idea that they would rotate every 24 hours, as opposed to the rotation of the relatively tiny sphere of the Earth. He states, "How far away from the earth are those remotest of stars: they are beyond the reach of eye, or man's devices, or man's thought. What an absurdity is this motion (of spheres)". He also argues for the extreme variability of the distance to the various heavenly bodies and states that situated "in thinnest aether, or in the most subtle fifth essence, or in vacuity – how shall the stars keep their places in the mighty swirl of these enormous spheres composed of a substance of which no one knows aught?". The earth's normal magnetism. He proposes (incorrectly) that the angle of the ecliptic and precession of the equinoxes are caused by magnetism. A loadstone cut out of rock and floated in water returns to the same direction. Iron heated to white heat and cooled lying along a meridian also acquires magnetism. But stroking with other materials fails--he proved this with an experiment with 75 diamonds in front of witnesses. The best way to magnetize a compass (magnetized versorium). ^ Jean Gimpel, The Medieval Machine: The Industrial Revolution of the Middle Ages (New York, Penguin, 1976), 194.